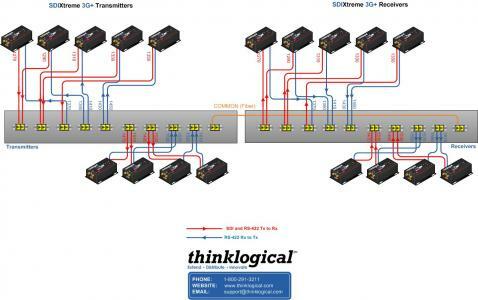 The ACT-10 is compatible with Thinklogical’s Velocity extenders for single-link and dual-link DVI. The system includes a Thinklogical Velocity Transmitter, which connects to the source. 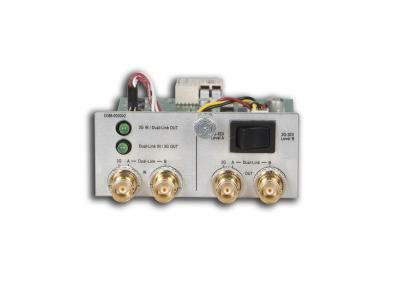 The Transmitter converts the signals from the source into MRTS data for fiber optic transmission. 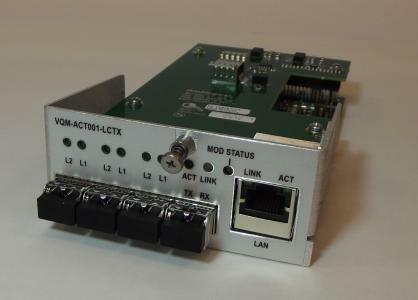 This signal is transmitted to the ACT-10 Transmitter, which converts the MRTS data into 10G Ethernet MAC encapsulated packets with VLAN tags, enabling the data to be received by the service provider LAN network interface. The service provider is required to supply the required Network Interface Device (NID) with a 10GE LAN interface on the user side and a WAN interface, SONET OC-192, CET, OTN-ODU2 or PON on the service provider side. It is also required that the service provider WAN will include an SLA indicating no packet reordering, a maximum latency of 50ms and a PDV no greater than 1us. 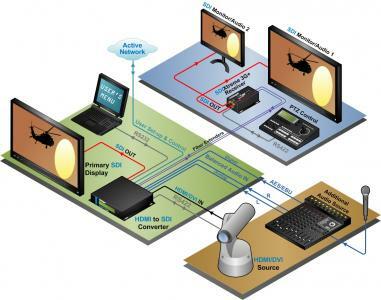 Paired with Thinklogical’s VelocityKVM, DVI and Audio & Peripheral Extension Systems, powered by Thinklogical’s patented Multi-Rate Transmission System (MRTS) Technology, the ACT-10 allows users to transmit two MRTS streams (two video sources, a single USB 2.0 (480 Mbps) interface, keyboard, mouse, audio, serial and stereo) over a single 10G data stream, for transport over a Wide Area Network. 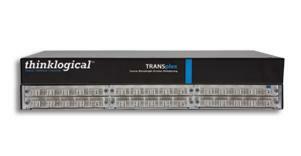 The TRANSplex is a 4 to 8 channel optical multiplexer/demultiplexer. 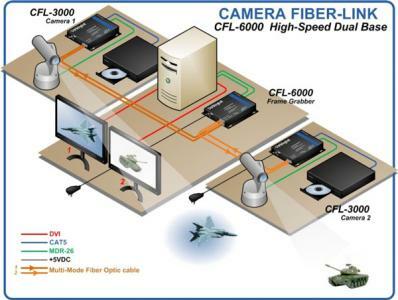 It allows for transmission of multiple protocols over an existing fiber link by combining the fiber outputs of multiple media converters. The TRANSplex system is completely passive, i.e. requires no main or DC power to be applied, with all of the transmission power coming from the source optics. 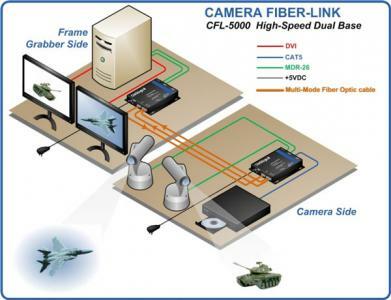 In addition, it supports a variety of wavelength combinations and port configurations, which ultimately enables more information to be sent over the existing fiber media. This makes the solution highly reliable and cost-effective. 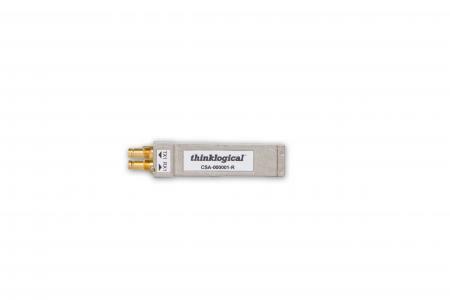 The Thinklogical CSA-000001 is an electrical SFP Transceiver module with reclockers designed to transmit and receive SDI signals up to 2.97Gbps over 75 coaxial cables via DIN 1.0/2.3 connectors. Cable driver slew rate is automatically configured in order to achieve compliance to SMPTE 424M/SMPTE 292M and SMPTE 259M. Equalizer features DC restoration to compensate for the DC content of SMPTE pathological test patterns. By suppressing accumulated jitter, each reclocker procures optimal input and output jitter performance. 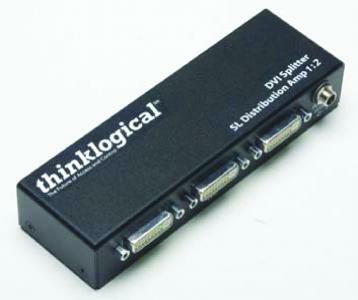 The DVI Splitters from Thinklogical sends a video source to either 2 or 4 displays without any signal loss. Installation is plug-and-play, no adjustments necessary. 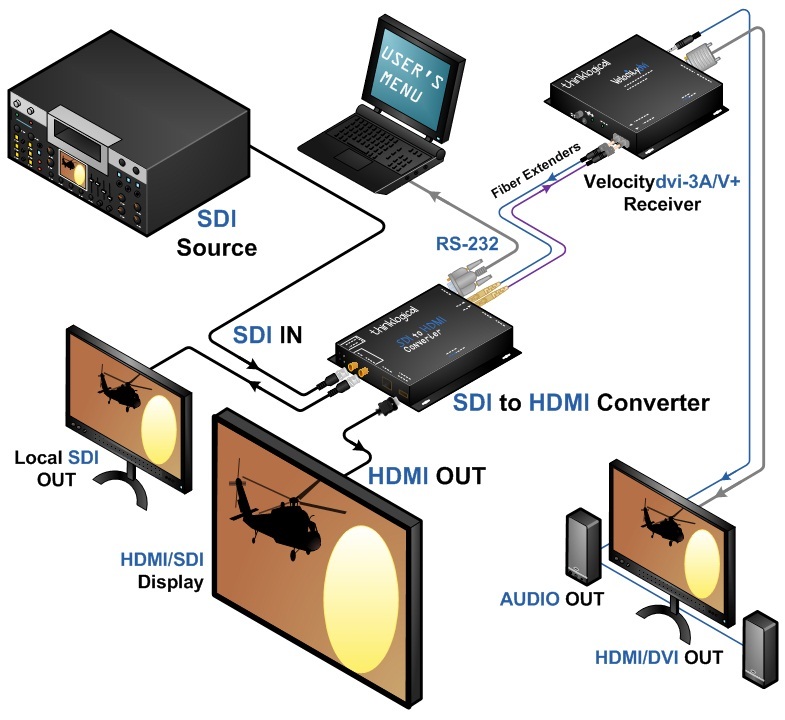 The VDA-3 (DL 1:2) distributes a Dual-Link DVI video source to 2 Dual-Link displays. The demands and advances of 3D, high definition (HD), and handling multi-formats is the primary impetus behind Thinklogical’s broadcast/post-production solution, the ImageEvolution. 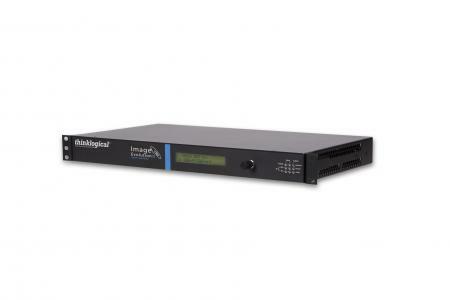 The ImageEvolution X3 not only converts and scales video signals in real-time; it provides the highest quality images for professional audio-visual end users. Designed as a high performance video processor for post-production and broadcast applications, the ImageEvolution provides exceptional and enhanced image processing and quality. 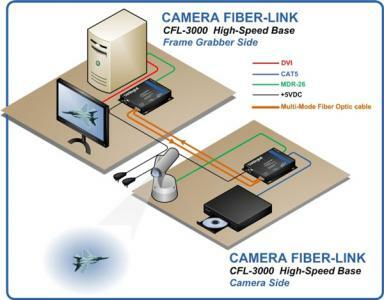 This stand-alone product allows for advanced real-time image correction and scaling, while at the same time functioning as a video converter which supports input/output of SD/HD/dual-link HD/3G SDI. 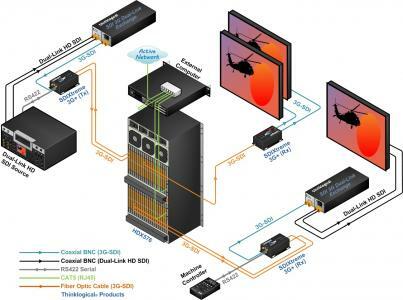 In addition, then ImageEvolution X3 is full SMPTE compliant, including the active loop out ports. 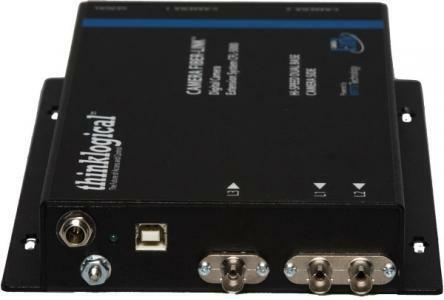 In one unit covert a dual link SDI signal to a 3G SDI signal over a single link – or – convert a single 3G SDI signal to a dual link SDI signal in one unit. 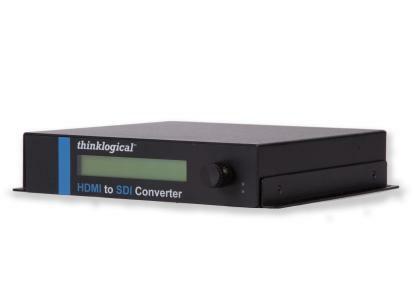 The Thinklogical SDI 3G/Dual Link Exchange is a compact broadcast quality, SDI converter. 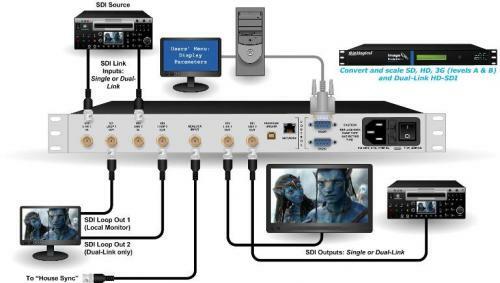 The system allows you to seamlessly convert a 3G SDI signal to a pair of Dual Link SDI signals and vice versa with or without embedded audio and data. 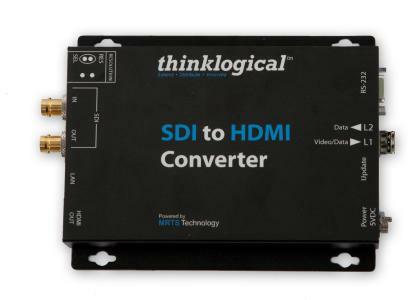 All other outputs, HD-SDI and SD-SDI are bypassed to the outputs without conversion. Not only does it convert video signals in real-time, it also provides the highest quality images for professional audio-visual and broadcast end users.